How marijuana can calm as well as create anxiety, how CBD helps, and choosing indica vs sativa for anxiety. Anxiety disorder and panic attacks affect millions of people (the Anxiety and Depression Association of America estimates that nearly 18 percent of the U.S. population is affected). For years, many people have insisted that using marijuana for anxiety helps bring them relief without the side effects of pharmaceutical medications, but does science back up the anecdotal evidence? Marijuana and anxiety: Does research back up anecdotal evidence that cannabis can calm an anxious mind? One of the most common mental disorders, anxiety comes in many forms. For some, it rears its head as generalized anxiety disorder, an all-encompassing and constant feeling of fear and dread. Others may experience panic attacks that come on for no particular reason. During a panic attack, they may experience racing thoughts, an increased heart rate, tightness of the chest, sweaty palms and dizziness. Also common is social anxiety – a condition that creates an irrational fear of interacting with other people in social settings. 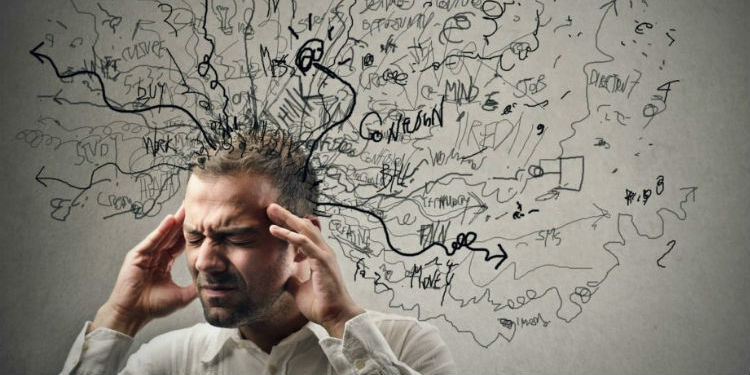 Everyone experiences anxiety from time to time, but for people who suffer from anxiety disorder, it can become crushing and nearly crippling. Despite its prevalence, nearly two-thirds of adults who struggle with anxiety fail to receive treatment. Those who do are typically prescribed medications. While medications can be helpful for anxiety disorder, they aren’t without side effects. Some people are prescribed benzodiazepines, medications that have a sedative effect and go to work right away. SSRIs (selective serotonin reuptake inhibitors) are another type of medication that are often prescribed for anxiety; they work by slowly increasing levels of serotonin in the brain and must be taken for a few weeks before they begin to work properly. Even though pharmaceutical medications are often helpful to lessen or alleviate anxiety, patients often struggle with taking them consistently due to unpleasant side effects. Frustration with side effects from prescription anxiety medications leads many sufferers to search for a more natural alternative that doesn’t cause them to feel unwell, zap their energy, or flatten out all of their emotions. For some patients, medical marijuana for anxiety provides relief with side effects that are either manageable or not bothersome at all. Consuming marijuana doesn’t necessarily mean smoking it, either; patients can consume it in the form of edible treats, oral drops, sublingual sprays, as well as vaporizing cannabis oil. For those it helps, medical cannabis is good for reducing panic attacks, as well as treating generalized anxiety disorder. It’s particularly good for individuals who suffer from social anxiety, enabling them to leave the house and experience everyday life and interactions with others. Marijuana is also helpful for reducing secondary anxiety resulting from a serious illness such as chronic pain or cancer. Some athletes claim that working out while high helps them eliminate performance-related anxiety. Can Cannabis Also Cause Anxiety? Cannabis is a double-edged sword of an anxiety treatment as it has an unfortunate dual effect: it can cause anxiety as well as alleviating it. This is possible because of the two main chemicals in cannabis. THC (tetrahydrocannabinol) is the cannabinoid responsible for the euphoric “high” sensation most often associated with cannabis use. It can create relaxation as well as increase heart rate (a physical sensation that can send some people spiraling into a panic attack), as well as create anxiety at higher doses. Another chemical, CBD (cannabidiol), is non-psychoactive. CBD actually works against the high induced by THC and has anxiety-relieving benefits of its own. A 2017 University of Washington study backs up these findings. In short, this study found that low doses of THC can decrease anxiety, while high doses of THC can increase it. Meanwhile, it confirmed that CBD decreases anxiety at all doses. Cannabis and Anxiety: How Does It Work? When it comes to marijuana and anxiety, researchers are still trying to discover exactly how the plant works in the human body. In their review of studies on using cannabis for anxiety, Professor Michael P. Barnes and Dr. Jennifer C. Barnes found that cannabis helps alleviate various illnesses and symptoms by mimicking the body’s own natural chemicals. 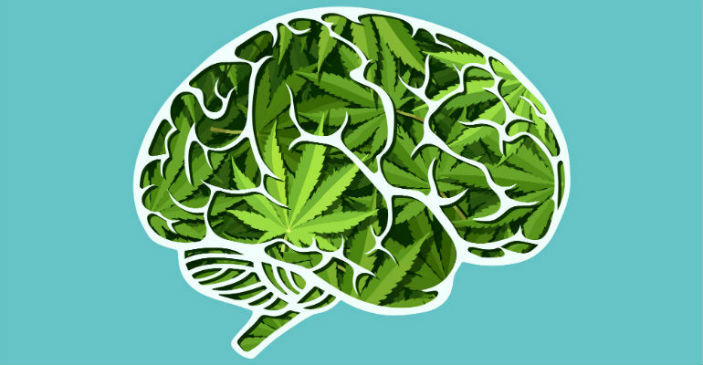 These chemicals bind with tiny cannabinoid receptors located throughout the brain and body. In various situations (such as when one is in pain), the body produces chemicals to bind to the cannabinoid receptors. This helps do things such as reduce pain and control movement disorders. Researchers have discovered that the cannabinoids produced by marijuana can replace these chemicals. Researchers aren’t entirely sure how THC uses this process to cause or alleviate anxiety, but it is clear that CBD is more consistent in providing relief for people who suffer from the disorder. There is speculation that CBD might decrease high levels of blood flow that supply areas of the brain that are responsible for generating fear and anxiety. Another theory is that the chemicals somehow affect behavior of the brain’s serotonin. Because CBD works so well, a significant amount of attention has shifted towards studying and using CBD products as anti-anxiety treatments. In fact, many of the health benefits of marijuana can be traced back to CBD. Repeated studies on CBD and anxiety have revealed that cannabidiol helps provide a sense of calm, diminishing anxiety and even acting as an antidepressant. CBD isn’t only for generalized anxiety and panic attacks, either; studies on CBD and social anxiety have revealed its effectiveness at helping people with an extreme fear of public speaking. For some, combining THC and CBD together works well. People often experiment with different CBD-to-THC ratios helps them reap the benefits of both worlds. They’re able to experience the anti-anxiety effects of low doses of THC while the CBD delivers its own calming effects and cancels out any potential high, racing heart, or other uncomfortable sensations generated by the THC. For others, however, taking pure CBD for anxiety and depression is the best strategy to get relief without the risk of any unwanted side effects. Like taking whole-plant marijuana for anxiety, CBD can be consumed via a variety of ingestion methods. It can be smoked (in the form of high-CBD strains of marijuana), vaporized, or consumed in the form of edibles, oils, or tinctures. Marijuana Strains: Indica or Sativa for Anxiety? Because the anxiety-suppressing qualities of marijuana are often so dependent on the CBD-to THC ratio, this makes choosing the proper strain especially important for those seeking relief. General thought in the cannabis community is that sativa strains tend to be more energizing and uplifting, making many of them too intense for those with anxiety. The high created by sativa strains is often described as a cerebral “head” high, and many anxiety sufferers find the sensation uncomfortable and alarming. Some sativa strains are also high in THC – another potential problem for people who are battling anxiety. Indica strains are often called the “sleepy” marijuana strains because of their tendency to sedate and relax. While sativa creates a trippy high that can be felt in the brain, many people choose indica for anxiety because these strains calm and soothe the body. Cannabis consumers often report that sativa strains make them want to get up, get out, and move, while indica strains make them feel like relaxing on the couch or falling asleep. Keep in mind that choosing between indica or sativa for anxiety isn’t as simple as sativa = energizing while indica = sedating. Each individual strain has varying levels of THC and CBD; there are even high CBD/low THC sativa strains. Every strain creates very different effects. This combined with differences in individual brain chemistry means that the ideal way to find an effective anti-anxiety strain is to start with small doses to see what the result will be. When using marijuana as an anxiety treatment, side effects will generally depend on if the dried herb or concentrate being consumed is high in THC or CBD. Because CBD can cancel out the high created by THC, as well as counterbalance many of its other effects, this makes it a useful ingredient in whole-plant medical marijuana (as well as a helpful anti-anxiety medication in its own right). For quick answers to questions about anxiety and marijuana, refer to the section below. Yes and no. For years, many cannabis consumers have insisted that they’ve found relief using marijuana for anxiety. While research studies have shown that there is some evidence that people can use marijuana to treat anxiety, they’ve also highlighted the fact that in some people, cannabis can make anxiety worse. It depends on the individual and the strain being consumed. While THC does have the ability to create euphoria and relaxation, high amounts of it can also cause the heart to race and anxiety to escalate. This can spark an anxiety attack in people who are prone to them. Anecdotal evidence as well as hard scientific research say yes. CBD helps alleviate anxiety with very few side effects at low doses. In addition to this, it can counteract some of the effects of THC (including increased heart rate, anxiety, and the intoxicating high). Should I choose indica or sativa for anxiety? The general consensus in the cannabis community is that people with anxiety tend to do well with relaxing indica strains, while sativa strains can be too intense and stimulating. However, because every individual strain has different CBD-to-THC ratios, each one causes different effects. CBD effects on anxiety are more consistent and it can also help cancel out some of the unwanted effects of THC. More study is needed on the long-term side effects of using medical cannabis to treat anxiety, but for many, it provides a welcome relief from both the daily feeling of impending doom and the emotional and physical effects of taking prescription anxiety medications. As with prescription anxiety medications, marijuana for anxiety isn’t a one-size-fits-all cure. Patients need to work with their healthcare practitioners to experiment with different high-CBC/low-THC strains, dosages, and consumption methods to find out which ones work best to relieve their anxiety. Because each person’s brain chemistry is different, what is effective for one person may not work for someone else. As researchers learn more and medical cannabis becomes more widely available, a larger number of people will gain access to medical cannabis. As anxiety sufferers are offered the choice between prescription medications and all-natural cannabis, their options for treatment will be greater than ever.